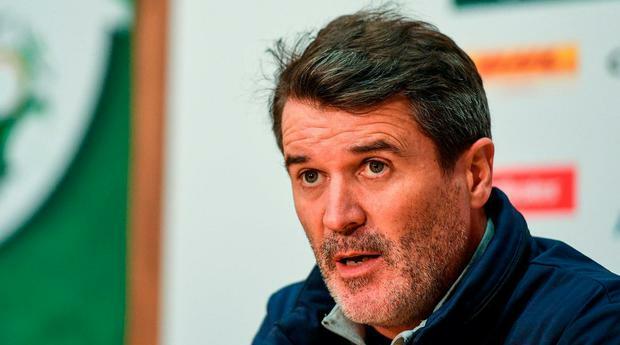 Roy Keane has blossomed as an assistant manager because he has been given the freedom to do so by Martin O’Neill, according to Shay Given, who said people have under-estimated how important the former Manchester United captain is in the Republic of Ireland set up. Given is a former teammate of Keane, and came out of international retirement during Ireland’s successful European Championship qualification campaign. He is full of praise for the way O’Neill and Keane work together and revealed that Keane is far more sophisticated than the snarling, argumentative caricature that shapes public perceptions of the 46-year-old. Given confirmed that both O’Neill and Keane have the ability to admonish those who are under-performing, but argued it is their intelligence that commands respect in the dressing room. “Roy brings huge qualities because a of what he's done as a player and as a manager,” said Given, who was also at Aston Villa when Keane was briefly assistant to Paul Lambert. “So, when Roy speaks to you, you listen and if you don't listen, then there's something wrong with you. “For a small country like Ireland, he is one of our most famous sons. He has that sort of stature. I know he is the assistant manager, but if he goes around the changing room speaking to you, individually, just a few quiet words at half time or something… if something has to be said, he'll say it. Part of his job is to go around people, talk to them and get them playing well. “He's got a calmness when he speaks to you, but people know he has that fire inside, as well, so if you are not doing something, he'll tell you. Players sometimes need that as well. “I think Roy has a humorous side to him people might not know or see at times. Obviously, I have played with him as well, but I think everyone sees the serious side. “But he has a soft side, although you don’t see it that often, he does like a joke as well. I think he's relaxed now, he's mellowed a lot. People shouldn't underestimate Roy Keane, he's very clever, you mustn't underestimate him." Given also has a lot of respect for O’Neill and cannot understand why some have criticised the work he has done with the Ireland team over the last four years. “Martin is obviously educated,” added Given. “The way he speaks to people and the way he does his team talks. Sometimes he does lose his head, but most times he is quite educated the way he speaks. He can put you down or pick you up with his words. He's very clever when he speaks to people. "Martin has a way of management which has been hugely successful over the years. Maybe because he doesn't talk about team shape, or name the team on a Thursday, then people will say he's a dinosaur. “Those are people who have not managed a game of football in their life. That is the way he has done it and is probably the way he will always do it. You'll never change that. "I think he gets the best out of players, He manages players really well and has huge loyalty towards players, they respond to that."